Meditation practices have become more common in the last 10 years, with the spread of yoga and scientific research on the benefits of meditating, it is becoming mainstream. We are accepting that health and wellbeing greatly benefit from a meditation practice. Often, we don’t know where to start. What kind of meditation? Which teacher? Lineage? How do you quiet your mind? Clairessence is a set of visualization meditations that teach you practical tools to discover, explore, and manage your own energetic system. The visualizations guide you through a process of learning that is step by step, or accumulative, so that you can master each meditation at your own pace and for your own needs. Mostly, Clairessence gives you practical tools to master your energetics. But what is Energetics? It is the aura, the energetic aspect of your being that scientists are calling the information field. It contains an incredible amount of information about your subconscious, your mind, your genetic mechanics, and your conscious filters. It is in essence your soul’s blueprint in motion. It is the bridge between the spiritual and physical. It is a tool of consciousness, awareness, and an incredible resource for wellbeing, clarity and optimization. Based on medical and scientific research conducted over the last 35 years, this simple yet highly effective system of guided visualizations is an incredible toolkit for self-evaluation and personal energetic hygiene. It is a must for therapists, doctors, nurses or energy practitioners, shamans, healers and anyone working with others, to keep energetic integrity and cleanliness. This system is a container, a vessel. It is a form that offers us a way to come into relation with the energy of ourselves, the Earth, the Cosmos, and our innate being. This vessel is a form without structure. There are no rules- simply creativity, playfulness, and practice. The ability to evolve through this work is limitless – your imagination sets the stage and assists you in creating your play space for growth and learning. Your imagination will open the gateway and allow you to co-create images, impressions, feelings, and sensations that are helpful in learning the system and evolving your life. As you imagine, you create. This system works most effectively from a space of neutrality. It works beautifully when the intent is forgiveness, acceptance, playfulness, amusement, interest, and exploration. I find that trust, creativity, and humor are key elements that bring this system to fruition. It’s easy to change when we’re neutral. It’s easy to be playful when we’re neutral. It’s easy to ask “WHY?” when we’re neutral. Remember that amusement cures seriousness. Smile. See what happens when you do. Use the ‘three-year old’ technique: Ask “Why?”…you will get surprising answers. Clairessence workshops were given over two weekends, usually separated by a month so students can attain a certain level of comfort and mastery of previous materials. There is a natural progression from one meditation to the next, helpinig you to achieve the proper mastery of the techniques and the entire system. What has been shown time and time again is if you follow these meditations and practice them daily for at least 3 months, you will become highly clairvoyant. Enjoy your journey and exploration of yourself in a whole new way! 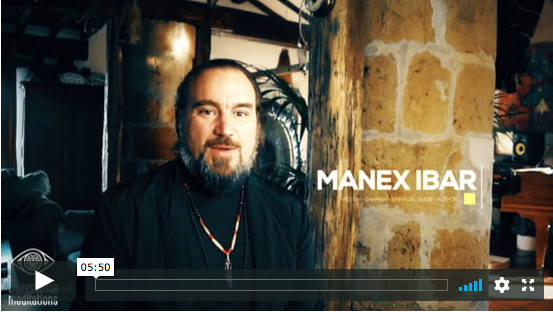 Manex Ibar, world-known clairvoyant, shaman, and spiritual teacher has been giving Clairessence Meditation Workshop Series around the world for the past 10 years. This incredibly powerful workshop is a series of guided visualization meditations that examine the mechanics of our energetic system. Through these guided meditations, you will learn everything you need to know to protect yourself energetically, activate your psychic abilities, and become a master of mind over matter. Truly, this powerful workshop series is extremely powerful in transforming your life rapidly. It will also give you experiential meaning towards all these spiritual terms like karma, chakra, akashic records, channeling, etc.. If you are here, you are one of the privileged few that has access to this life-changing meditations series. Brynja Magnusson completed the Clairessence meditation workshop in 2017, during which she activated a creative download to illustrate this series of meditations. 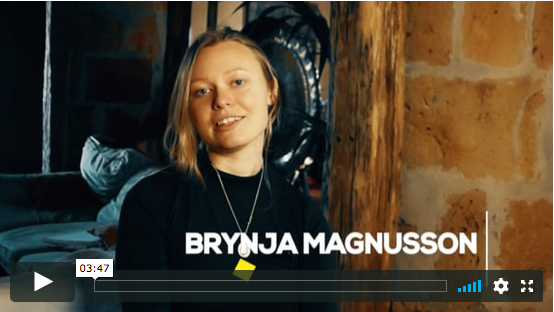 Since the initial creative spark, Brynja has continued to channel creative downloads through meditation to create the Human Design Deck and the Sphinx Tarot Deck in collaboration with Manex, who continues to guide her through the initiation process of the occult practices. Brynja is a sought after massage therapist, spiritual artist, and advanced student of shamanic wisdom.